Investing in real estate is as much about mindset and education as it is about experience. Just ask our partners at CT Homes, who – though they have more than 10 years of experience flipping homes – are always improving the way they do things. If you are not moving forward, you are moving backwards. Of course, there is a lot to be said for experience gained in the field. Learning from other peoples’ triumphs and mistakes is practically invaluable. However, it is not the only way. Reading a good book can provide investors with the supplemental information they need to succeed. Literature has proven, time and time again, that it can serve as an investor’s most valuable asset. If you are looking for a good summer reading list, look no further. There is certainly no shortage of stories that equate waking up early to a successful habit. In fact, you would be hard pressed to find a mega-successful investor that doesn’t get an early start to their day. There is a good chance they are closing deals before most people take their first sip of coffee. However, the morning isn’t the only time of day successful investors are active when others remain stagnant. Successful investors have also developed a habit of staying up late. It provides the perfect opportunity to set themselves up for a productive tomorrow. Of course, burning the midnight oil can mean several things. Some investors prepare for private money meetings. Others squeeze in a little extra research. There is one thing, however, that has become synonymous with the minutes and hours just before bed: reading. While reading has the obvious benefit of furthering one’s education, fewer are aware of its health benefits. In particular, reading a good book can stimulate the brain, improve memory and reduce stress. A 2009 study from the University of Essex revealed that reading for as little as six minutes a day can reduce stress levels by as much as 68 percent. It has also been hypothesized that reading can reduce cognitive decline by an average of 32 percent. Mental Stimulation: Similar to that of every muscle in the body, the brain needs constant stimulation to stay sharp. 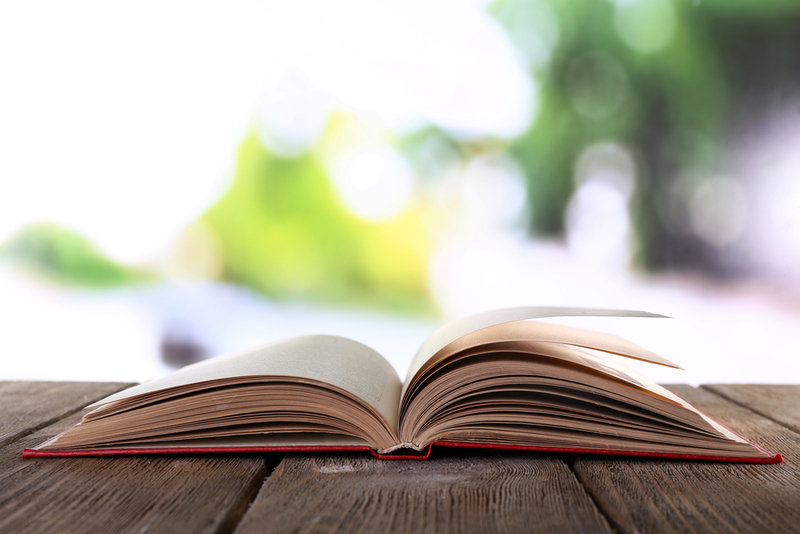 Reading engages cognitive activity that promotes healthy brain functionality – a trait that is all but necessary to succeed in the field of real estate investing. Stress Reduction: Investing in real estate can be stressful at times. Deadlines and schedules are always looming. It can really take a toll on you if you are not prepared accordingly. Fortunately, reading is a great way to alleviate stress. Get lost in a good book, forget about stressful situations, and approach them with a new attitude the next day. Knowledge: Outside of actually investing in real estate, reading is one of the only ways to increase your understanding of the industry. Competency: Reading a good real estate book, or perhaps even a book that alters your mindset, can instill a sense of confidence in anyone. The more you know, the easier it will be to come off as a professional. This is particularly important; seeing as how real estate is a people business. So, What Are The FortuneBuilders Leaders Reading This Summer? The way of the samurai has been well documented for centuries, and the beliefs they exhibited in the past are still relevant today. 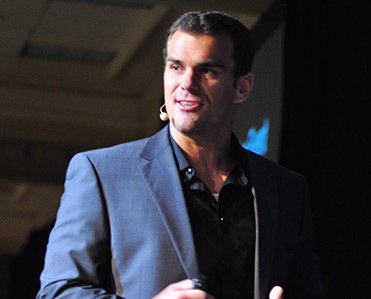 That said, Bushido’s guiding principles translate seamlessly in to the world of real estate investing. As the co-founder of FortuneBUilders Inc., Konrad has used some of the teachings in this book to hone his entrepreneurial skill set. As one of the best selling leadership books of all time, 21 Irrefutable Laws of Leadership expresses the importance of taking charge. That means learning from both success and failure, and imparting that wisdom on those under you. Paul Esajian himself has used insight gained from this book, proving unequivocally that personal development does not stop once you have reached a certain level. Running a real estate business is as much about your state of mind as it is about the decisions you make. In fact, the decisions you make are directly correlated to your mindset, and our very own Randy Zimnoch may know that better than anyone else. Way of the Peaceful Warrior focuses on this ideology: one that values consciousness and strength of spirit. Regardless of what it is you are doing, this book will get your thoughts in order. Whether you are a full-time rehabber with 15 projects going on at a given time, or are just breaking into the industry, this book is for you. The Real Estate Rehab Investing Bible is just that: a comprehensive breakdown of the entire rehabbing process. Investors of every level will find it easy to reference, and it should be considered an essential tool in every investor’s arsenal. Wholesaling is widely considered to be the best way for a new real estate investor to get their feet wet. This book contains everything you need to know about wholesaling exit strategies and is, therefore, a must read for anyone looking to expand their knowledge in this area. Don’t start your next wholesale without it. A must read for anyone looking to overcome the hurdles associated with starting their own business, The E Myth confronts why small businesses fail and how to avoid becoming another statistic. The book is essentially a step-by-step guide on how to grow your business in a predictable and productive way. If you have an established business but are looking to grow, look no further than Scaling Up by Verne Harnish. This book is a favorite of the owners of FortuneBuilders, who have used its principles to put organizational structures in place for their own company. It’s a must read for anyone looking to take their business to the next level. Good To Great strives to explain how companies transition from being average companies to great companies, and how companies can fail to make the transition altogether. Years worth of research document exactly what it takes for small business owners to succeed in today’s market. Entrepreneurs will learn how to better focus their resources, so that they too may reach unparalleled success. Dweck explains why it’s not just our abilities and talent that bring us success—but whether we approach them with a fixed or growth mindset. Again, entrepreneurs will find the teachings within this book to be invaluable, as a simple thought adjustment could foster the basis of great accomplishments in every area. Don’t miss out on what could be the foundation of your entire business. In Delivering Happiness, Tony Hsieh – the CEO of Zappos – explains how he created a corporate culture with a commitment to service. The book emphasizes the importance of improving the lives of employees, customers, vendors, and backers. Through a series of anecdotes and stories, readers are given access to one of the best kept secrets in the industry: that with a good company culture, everything else – great customer service, marketing and branding – will fall into place. Becoming Steve Jobs gives readers a front-row seat into the life and career of the Apple co-founder and CEO. Even now, Jobs is known as the most effective visionary business leader of our time, and this book explains why. In reading this book, entrepreneurs will learn some of the secrets that made Jobs so successful: exercising patience, trusting those you work with, and the importance of growing a company incrementally. Tony Robbins, the nation’s premier life and business strategist, presents his readers with a seven-step “action plan designed to guarantee stability and lock-in financial freedom for people at every stage of life.” His book, Money: Master the Game, reminds investors that no matter where they are in their career, managing money is of the utmost importance. Your finances will thank you for picking up this book. Think Like A Freak is less about how to understand the world around us, and more about the attitude we need to take towards the tricks and the problems it presents us with. At its core, this book teaches individuals to free themselves from expectations by thinking outside the box. With an emphasis on problem solving, Think Like A Freak can help entrepreneurs navigate the obstacles they are presented with and achieve results.